Trying to escape trick-or-treaters? 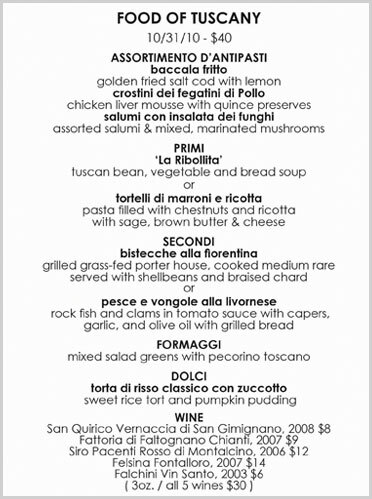 Head on over to Osterio Sfizio tonight for their special dinner, featuring foods from the Italian region of Tuscany. The chestnut tortelli, in particular, promises to be delicious. If you can’t make tonight’s dinner because you’re, say, engaged in being a vampiress, cardboard box, or rhetorical pun, join me at the next one. They’ll be journeying to Friuli, the part of Italy that gets all weird and wonderful with Central European influence, on November 28.
be vewy, vewy proud…james beard is hosting wabbit! I had the opportunity to try the avocado gelée last night, and it was wonderful. The acidic pineapple is blackened (beyond caramelized, really), so the burnt flecks impart a grainy, almost acrid contrast to the pillowy soft barely avocado’d panna-cotta-like gelée. The sesame seeds, which are sweetened by (I think) a light date syrup, are crunchy and nutty, so you have crunch, cream, acid, and caramel. It’s a brilliant dessert, perfectly balanced. I can only imagine what the rest of the menu will be like! If you haven’t tried The Rabbit yet, do. They serve the best cocktails in town — one of my favorite places to go after a long day. The restaurant has had some issues with reputation and its haut-cuisine entrées and techniques aren’t for everyone, but as creative as Chef Gil is with flavor combinations and molecular tidbits, his kitchen puts out mean comfort food, too. The fall menu is downright domestic, I was surprised and pleased to see. There’s a lamb navarin with mash and a halibut on puy lentils that are spectacular. I often sneak off and grade papers or edit a manuscript while eating moules et frites (mussels and fries) at the bar, as I did last night. In fact, the moules are so good that I never even want to try anything else, which is death to me as a food writer! But they’re the best mussels I’ve ever had anywhere, here or Europe, no lie. Someone in that kitchen knows how to prepare shellfish. So let me just warn you, New York, even though you are going to want to keep our Rabbit team in a warren at the James Beard House, we won’t take kindly to that here in Eugene. Have a safe trip and a wonderful time and come back soon, Rabbits! think of the pumpkin seeds! Spare pumpkins? 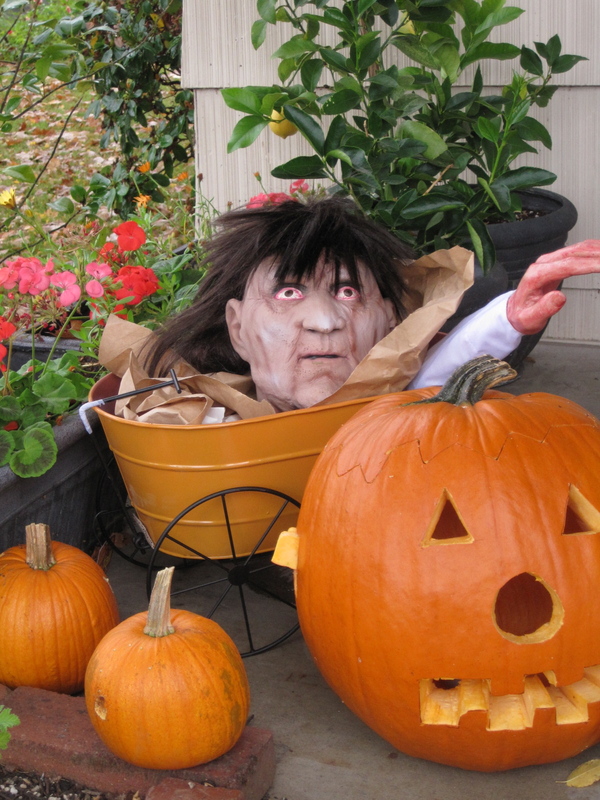 Please carve an extra for ShelterCare‘s Jack-O-Lantern fundraiser on October 30 at 5th Street Market, or consider donating pumpkins for carving to the Lane County Master Gardeners. ShelterCare is aiming for 5,000 pumpkins! Don’t forget to carve a pumpkin for Shelter Care’s annual Jack-O-Lanterns on 5th. This is a fun event that will allow us to spread the word that Master Gardeners are still active in Lane County. Tom Kulick put MGs in for 15, but the more the scarier. Their sponsors give them $5 for every pumpkin! Shelter Care will provide us with a sign while we provide the Jack-O- Lanterns. You can carve/paint your pumpkin and drop it off at the 5th street market south parking lot (off 6th) starting at 9:00 am on the 30th of Oct. If you have pumpkins that you want to donate we will have a carving party on the 29th of Oct. If you have 3 or fewer drop them off at the Extension Office (783 Grant – between Garfield and Chambers) if you have more than 3 give Tom a call (541-465-4545) or drop him an email (tmkulick@comcast.net) to arrange a convenient time and place for pick up. Check out the web site jackolanternson5th.com for details. I had a half-gallon or so of fresh apple cider start to ferment into hard cider in my refrigerator, so instead of hitting the hooch, I decided to try making cider vinegar. I’ve always wanted to do this! I’ll keep you posted. 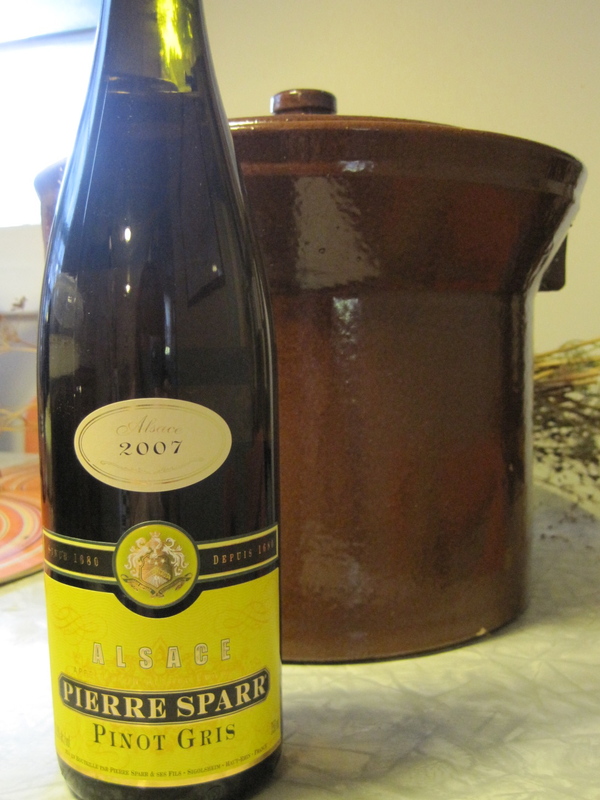 I’m going to try this batch without the yeast activator, since we’re already fizzy and alcoholic-y. 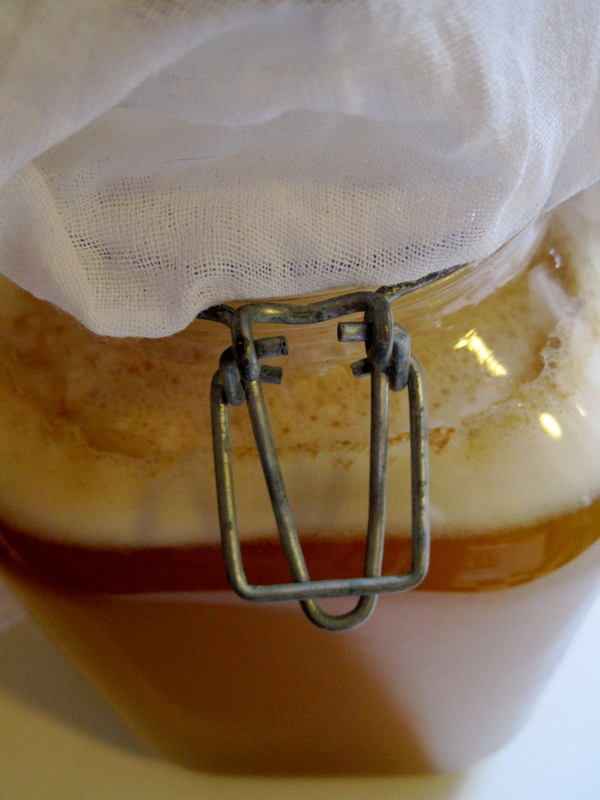 Homemade cider vinegar shouldn’t be used for canning, of course, but it will be wonderful used to deglaze pork roasts and dress roasted root vegetables. Thanksgiving salad dressing, anyone? The link above provides instructions from Ohio State University Extension (the other OSU! ), or you can just download OSU’s .pdf file for making apple cider and cider vinegar by clicking AppleCiderVinegar. I grew up long ago and far away, in a land where we sifted through our Halloween candy to cull the razor-blade apples and poisoned nibbles, identifiable by their opened wrappers. My mom took the extra precaution of keeping Yuck Mouth at bay by making us give up all the “pure sugar” hard candy and soft, chewy, cavity-inducing candies. We could keep the chocolate, because it had at least a tiny bit of nutritional value. Now, it most likely doesn’t. Most of the sugar has been replaced by high-fructose corn syrup. But there’s even more frightening stuff in your Hershey’s minis: child slave labor. After being reprimanded with other chocolate companies years ago, Hershey’s decided not to take significant steps to change labor practices in Africa, where they source their chocolate. So even though (because?) 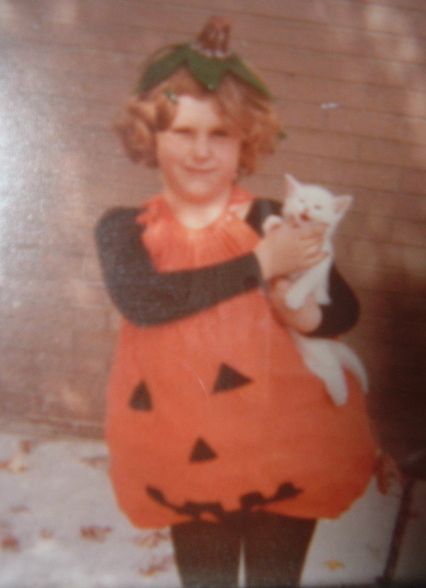 I’ve celebrated my freedom from the oppressive regime of my own childhood, where even the kittens needed to be taught to fake smile, I’m done with mass-market Halloween candy. No Hershey’s for me this year. Because of the deprivation* of the Great Cull, I never thought I’d be the kind of person who gave out raisins or pencils or (quelle horreur!) UNICEF change, so I’m going to go for another candy alternative. I’m not sour enough to give out crummy toys or office supplies yet. Yet. We don’t get many kids, so I can spend a little more on fair trade chocolates. Dagoba, an Oregon organic chocolatier, has spendy tasting squares [Dagoba is now owned by Hershey’s — thanks, Carol, for the comment and see more info here], and there are other fair trade options here and here. Euphoria Chocolate Company, based here in Eugene, also has cute Halloween chocolates by the half-pound, but I don’t know anything about where they get their chocolate. What are you giving away for treats? * No, Mom, I’m just kidding. I think I’m done with my summer canning, finally. It being October 17 and all, that’s a good thing. There’s still a batch of green tomato pickles to come, but I’m ready for fall. It took me a while, but I’ve squeezed in preservation breaks over the past couple of weeks. I taught some friends how to make sauerkraut and put up 10 lbs. of cucumber pickles to replace the last batch that rotted in the fridge while I was working around the clock a few weeks ago. 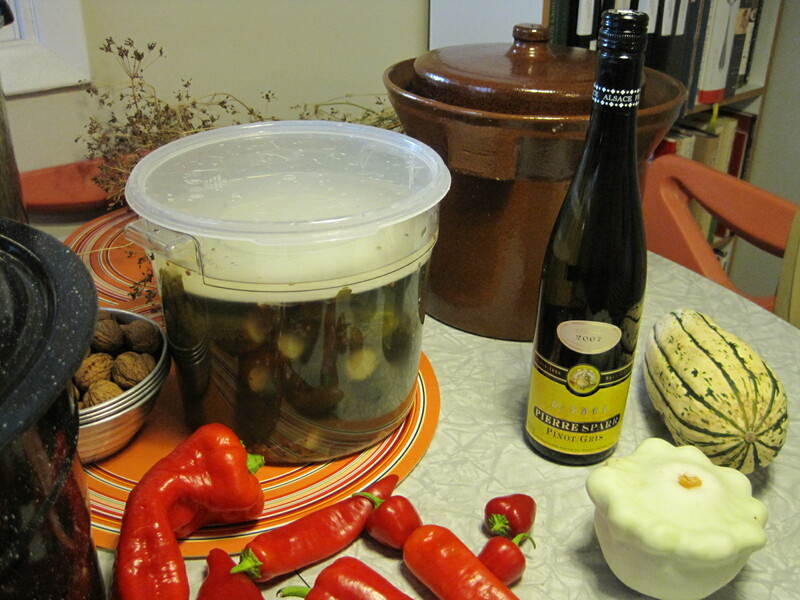 I’ve also pickled my garden hot peppers, made from all my Eastern European pepper varieties. 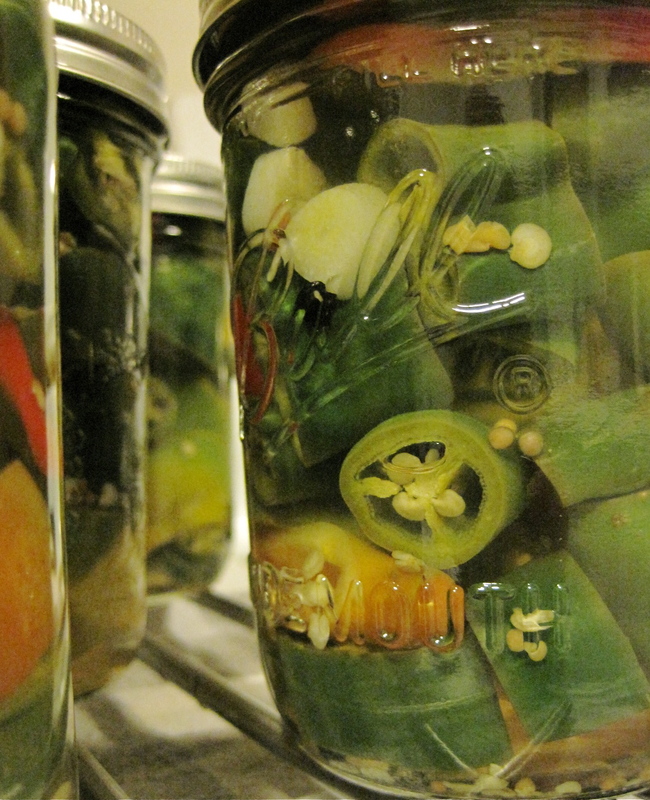 The pickled peppers are a much better option for those preservative-laden jalapeno slices my husband adds to nachos and tunafish sandwiches. I really like fishing out different kinds of peppers in the jar, and tasting their differences. So now it’s fall canning time, yay! I foolishly (?) reserved 20 pounds of gorgeous cranberries grown on the Oregon coast, so I’m going to have to get crazy with cranberry recipes this year. I’m also planning to put up pounds and pounds of dried beans, since I don’t cook with beans as often as I should because I always forget to soak dried ones, I don’t like the texture of frozen ones, and the commercially canned ones have preservatives and too much salt. And I just bought a big sweetmeat squash for pies and other pumpkin goodies this year, so I’m going to can cubes of the bright orange flesh for the very first time! I’m also in the process of buying a freezer. I’ve been unable to buy bulk meat or freeze anything in quantity, since my regular refrigerator freezer is stuffed to the gills. I love the pleasure of digging into the depths and finding perfectly good sauerkraut beef stew, for example, or roasted poblanos, or realizing I still have 2 cups of quince juice left. But right now, I can’t find anything. Every time I open the freezer, a container of tomatoes or posole or ham hock jumps out and tries to smash my foot, vengefully. I need a better tomb for these zombies. After years of halfassedly looking on Craigslist and finally deciding to break down to buy a new old-fashioned non-frost-free chest freezer, I casually mentioned my search to a friend who said she had an extra one! I’m very much hoping this works out. Then I’ll just need to take care of the easy stuff, like, you know, finding a place to plug it in. Soon, we’ll be eating homemade Hungry Man tv meals 24/7!